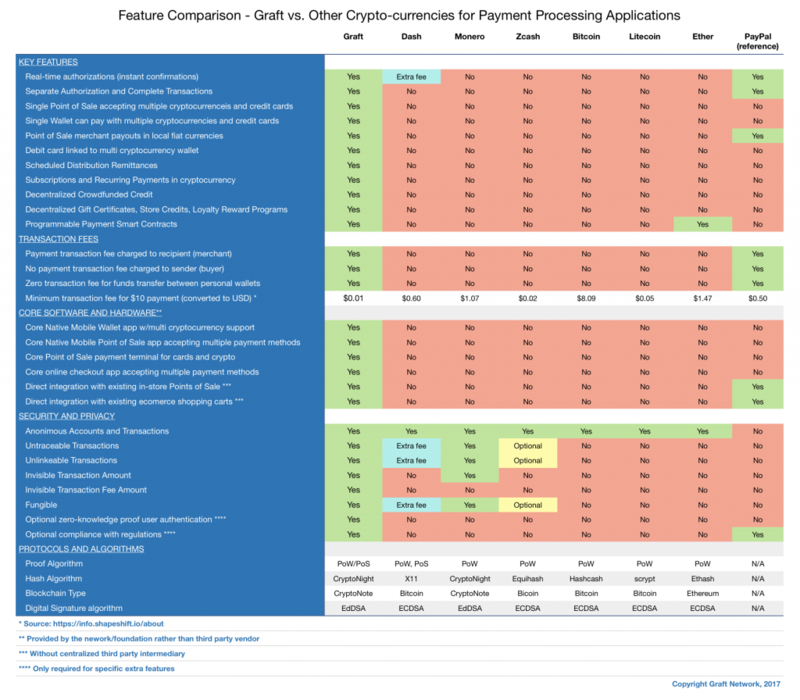 We’ve been getting lots of questions on what differentiates graft from other cryptocurrencies, so we decided to invest the time to thoroughly compare across the characteristics that matter to payment processing applications. It’s important to keep in mind that cryptocurrencies are not inherently better or worse – they were just designed with different use cases in mind. We designed Graft to be the best cryptocurrency for payment processing. Previous PostPrevious How is Graft real-time authorization (“instant confirmation”) within a few seconds possible with 2 minute block interval?